Gerfast cleverly explores the blues and with his dexterity on the guitar as well as his fine knack for songwriting (all tracks are from him) is a must-have for every critic. No, not to hang him to dry, but to praise the ten tracks. The CD has a nice retro analog sound and when Magic Mama, as in the funky "You Know The Deal" with the Hammond, enriched by a filthy Leslie sound, takes over, the fun factor in listening is one floor up. Of course, Gerfast does not ask twice and supplies the listener with a string-pulling solo. Looking at the tracklist, I immediately noticed the name of the sixth song: "Rocking In The Grave". With extreme looseness in the wrists, Sam Anthonsson drums this groove, which ignites his own footswing, and the Basser Magic Man casually purrs the thick strings in the manner of a tub-tiger. Lyrically, the rocking piece is certainly not necessarily the high-flyer, musically more so. To a CD from the genre Blues Rock belongs the slow song like the butter on the bread. "I'm Going Down" is such a song and not only the "Still Out There" cover photo reminded me of Coen Wolters' Broken Glass front image. The Gerfast drives perfectly on the rails of the Dutchman. Another 12-bar-ballad is "Out In The Universe" and here Magic Mama mixes well again. Although without a solo, but for a great flat substructure. By contrast, the opener "Loving Machine" is a great rock'n'roll dude, but for the rest of the CD is not exactly indicative. Nevertheless, the Swede shows that he also has such a game on it and feels really comfortable there. Another "Rocking In The Grave" qualifier is "Wine Women And Blues," a song found in the back section of the "Still Out There" blues train. Short but good, provided with nice breaks rocks it well tempered and in the middle part Gerfast's fingers wander skillfully over the entire fingerboard of his implement. For "I'll Make You Mine" you have turned on the cruise control, because the track is played very straight. Equally charged with two protagonist solos, the number is charged and Gerfast is already one of the guild of the very good string artist, making it a concluding piece in the mid-tempo piece "A Lot To Say" with little lyrics, but a lot of guitar to all listeners Time shows. 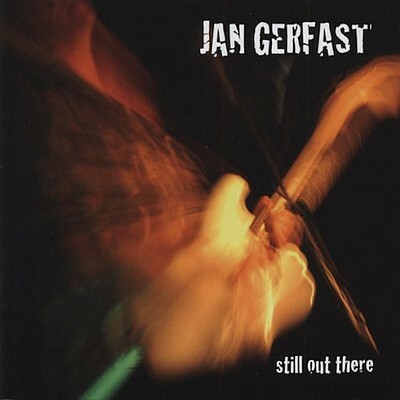 Jan Gerfast's "Still Out There" is a strong album in which the Swede proves depth and has earned 8 out of 10 RockTimes watches.